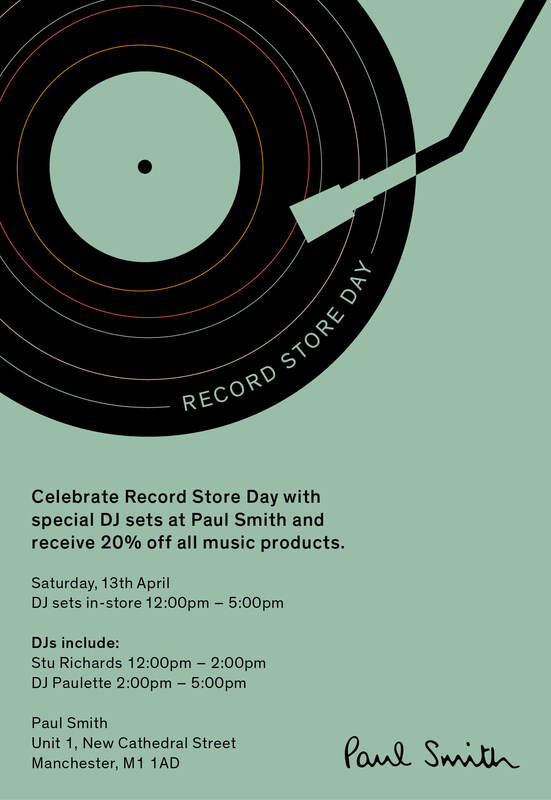 It’s become a tradition #RecordStoreDay find me and Stuart Richards gracing the decks at Paul Smith #Manchester(Cathedral Street) on Saturday April 13th – we’ll be there from midday until 5pm. Discounts on all music related items for the day… Come and invest in some wonderful clothes, fabulous prints, brain expanding books and quirky homewares and dance to our beats whilst you’re doing it. It would be rude not to.